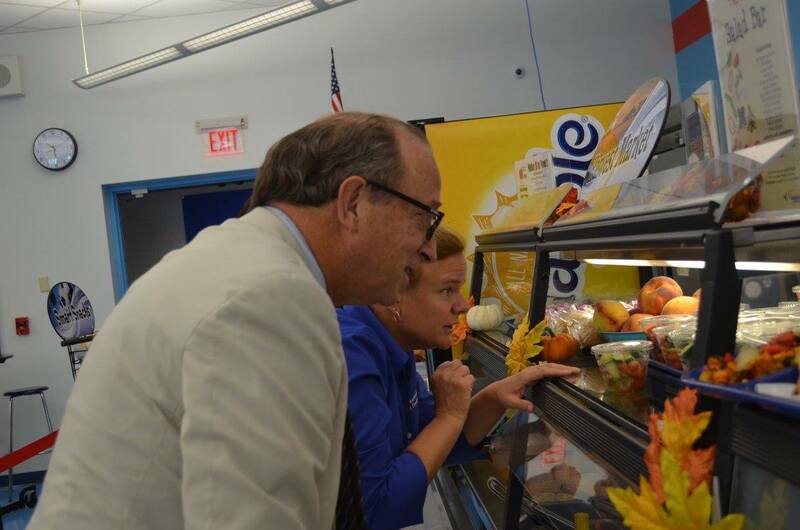 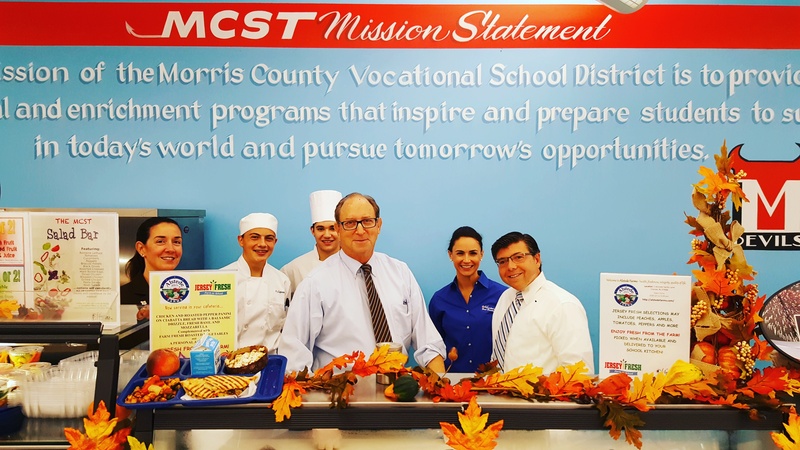 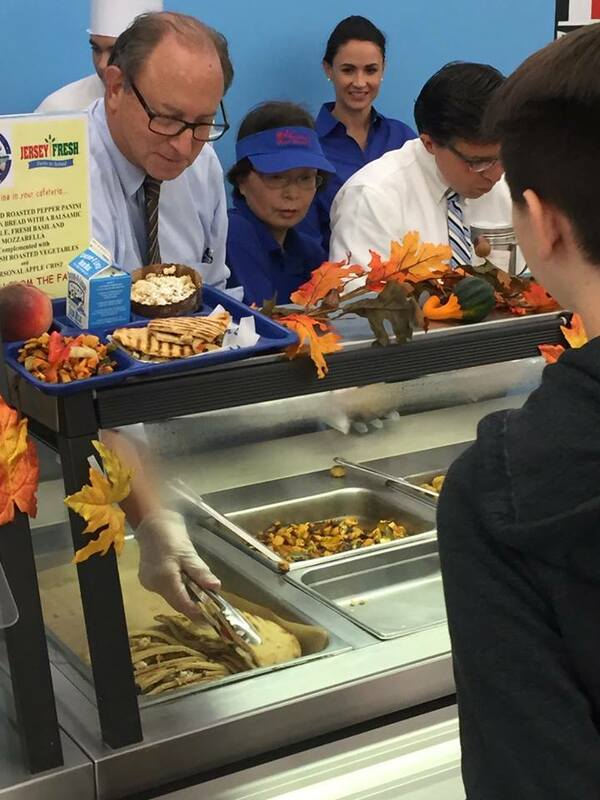 New Jersey Secretary of Agriculture Douglas H. Fisher celebrated Jersey Fresh Farm to School Week with Maschio’s at Morris County VoTech on September 26th. 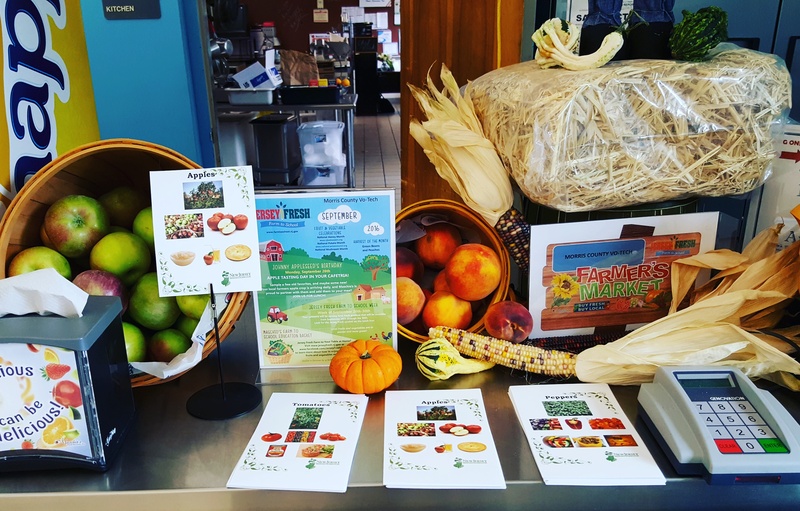 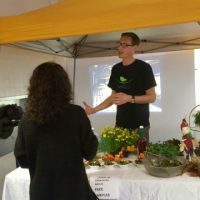 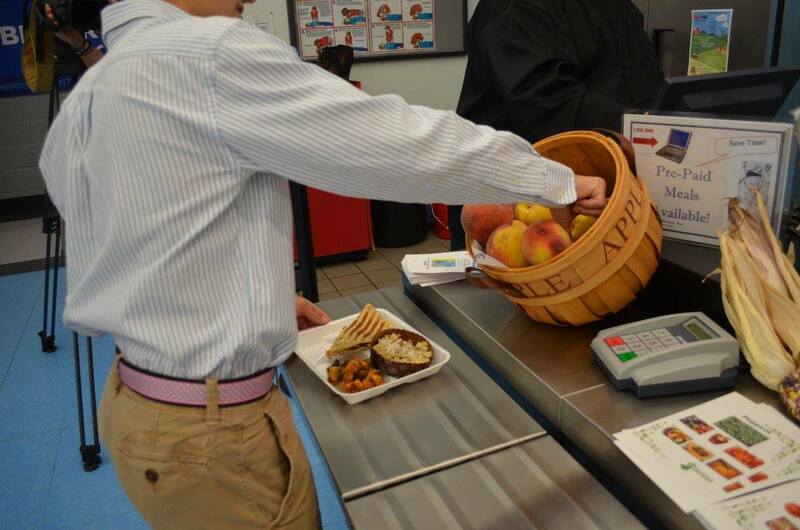 Morris County Vocational School prepared locally-sourced items for Jersey Fresh Farm to School Week in September. 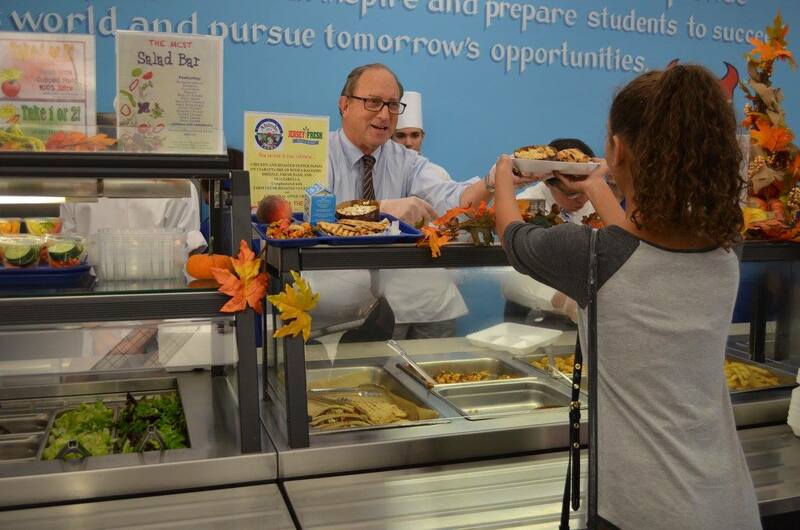 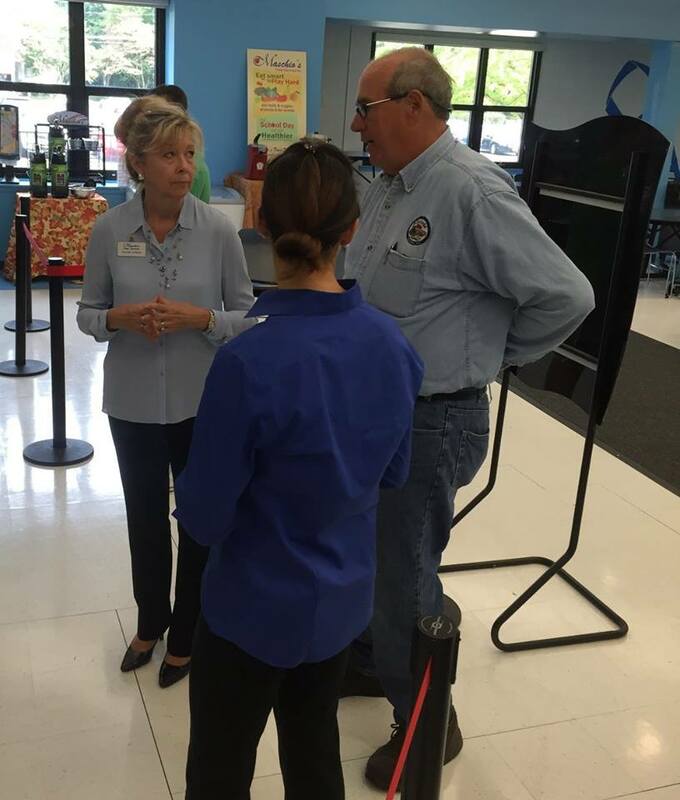 Fisher visited, spoke to school administrators and food service staff about the benefits of Farm to School programs, and helped serve meals. 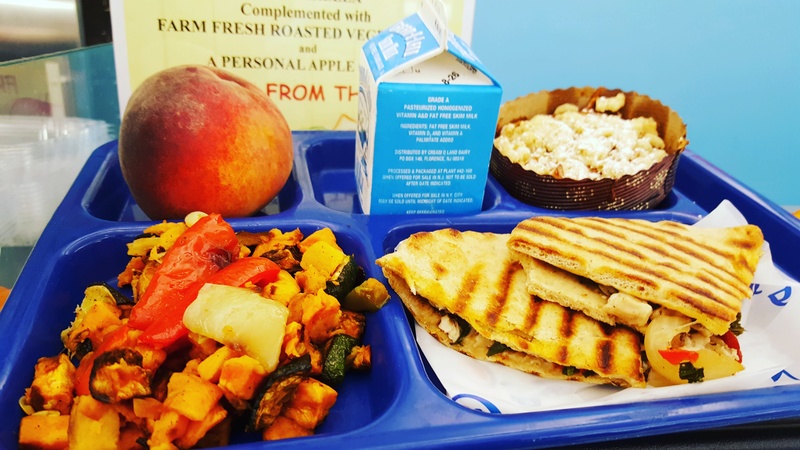 He served a red pepper panini and roasted vegetables sourced from Alstede Farms in Chester, NJ. 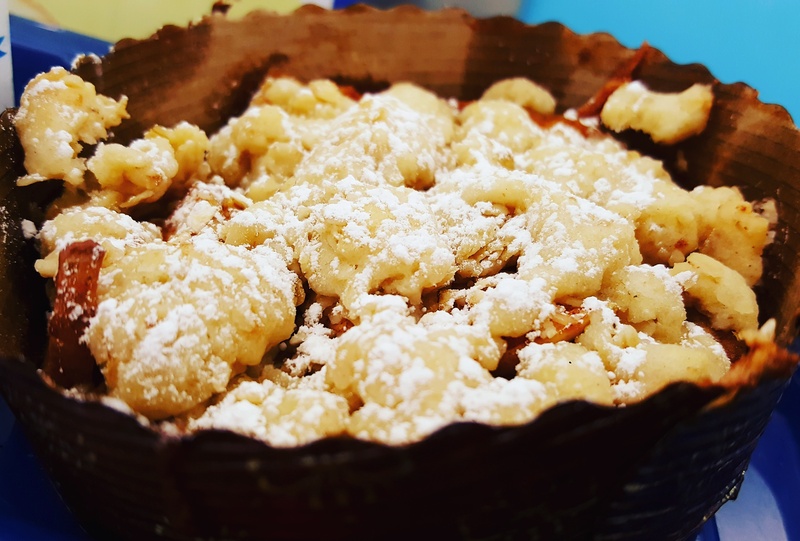 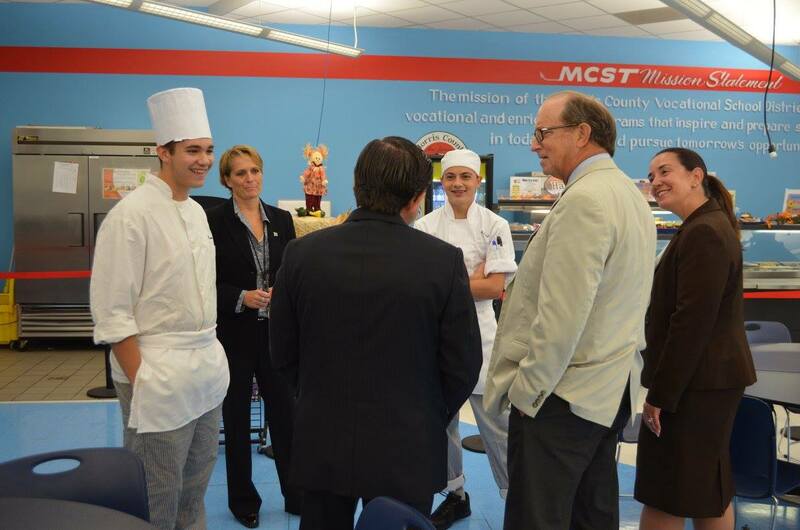 The MCVT Culinary Program also provided whole grain apple tarts! 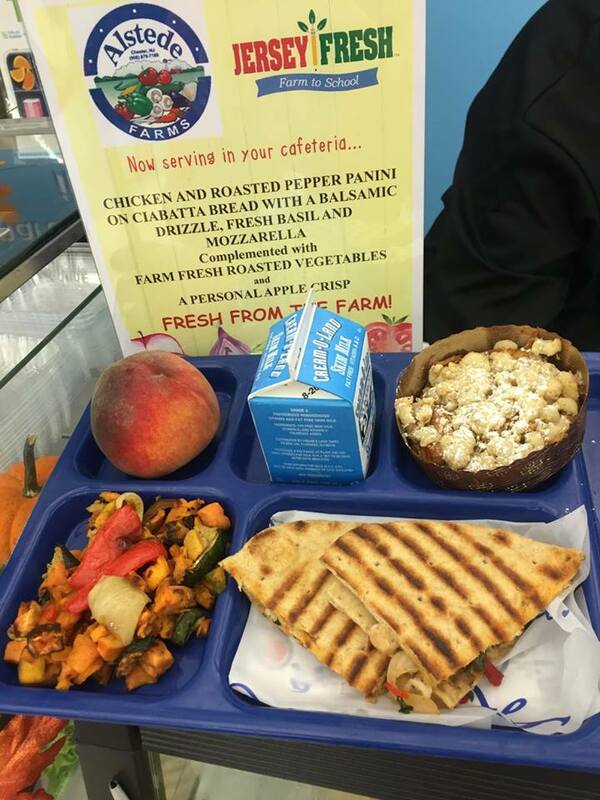 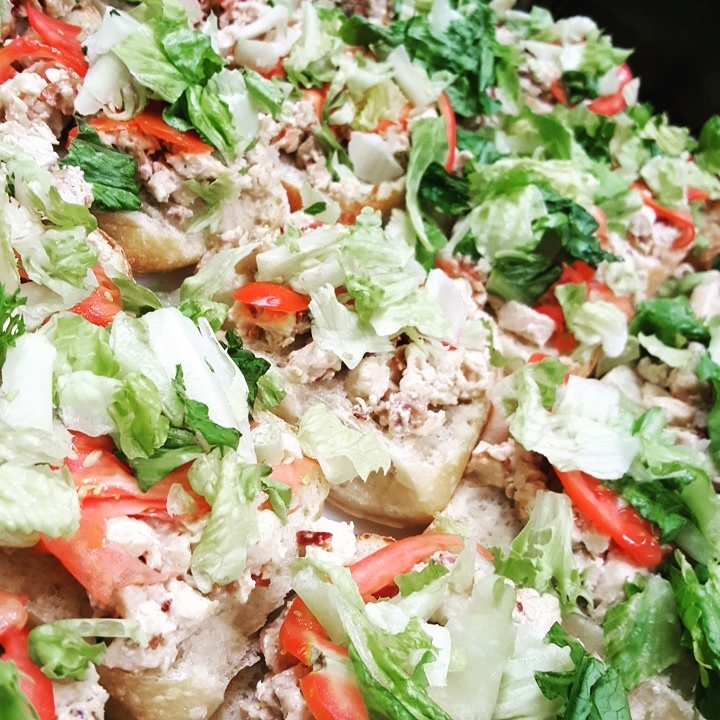 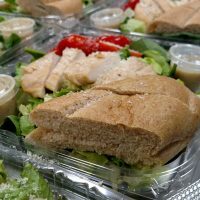 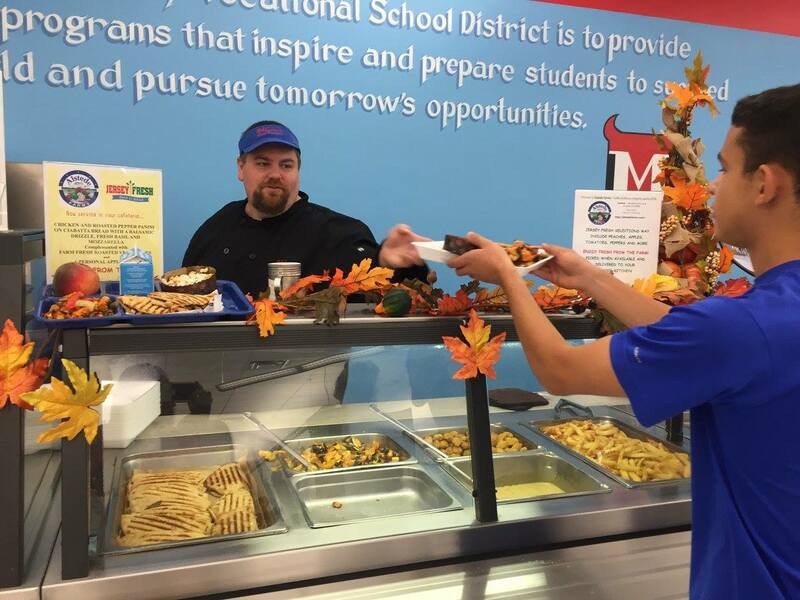 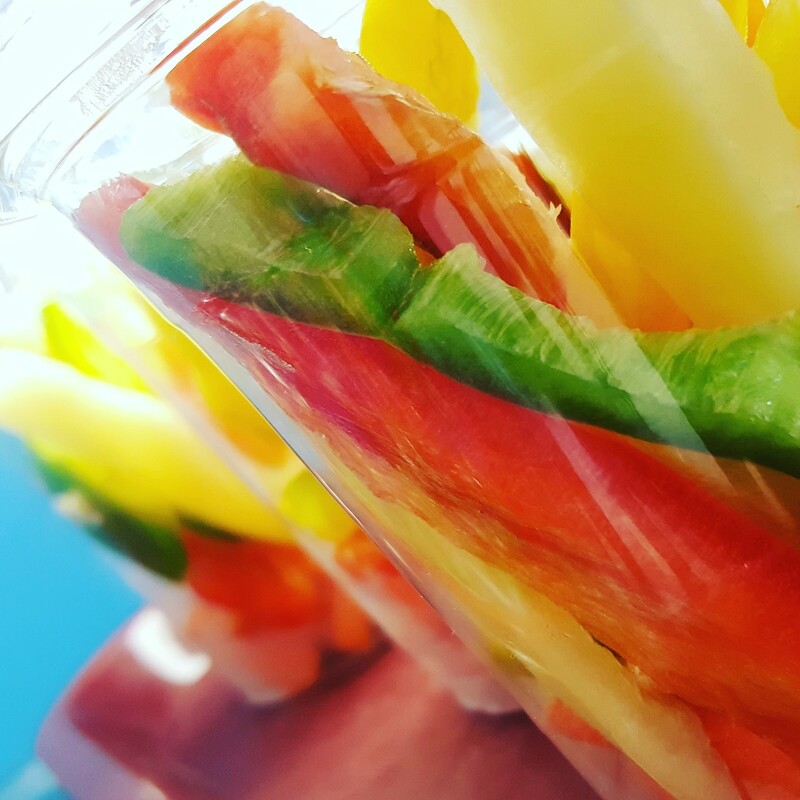 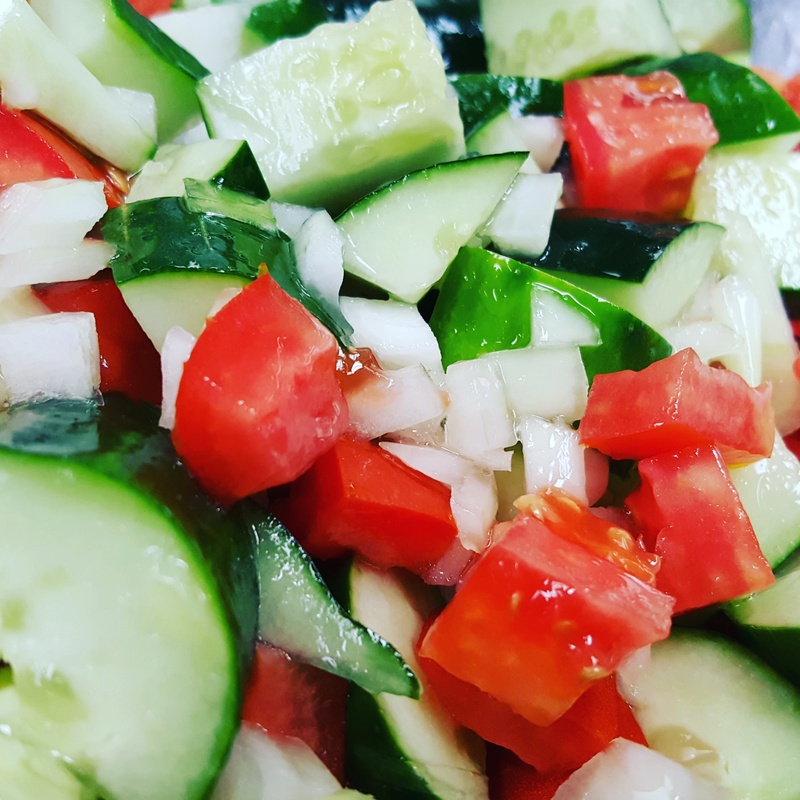 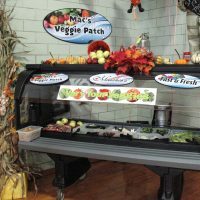 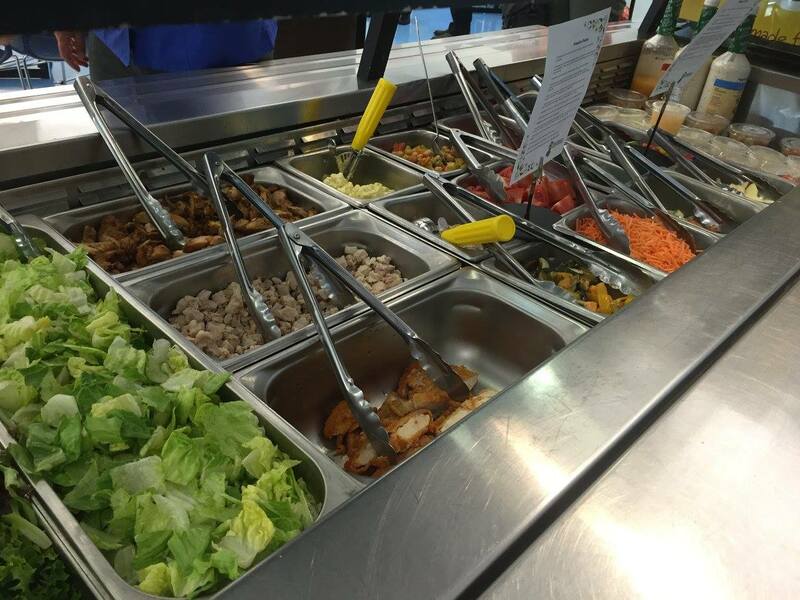 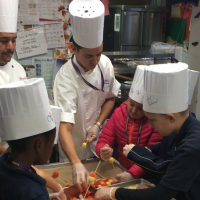 Maschio’s recognizes the importance of supporting local farmers and eating local produce, which is why our cafeterias source local produce for our serving lines as often as possible throughout the school year! 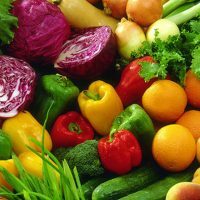 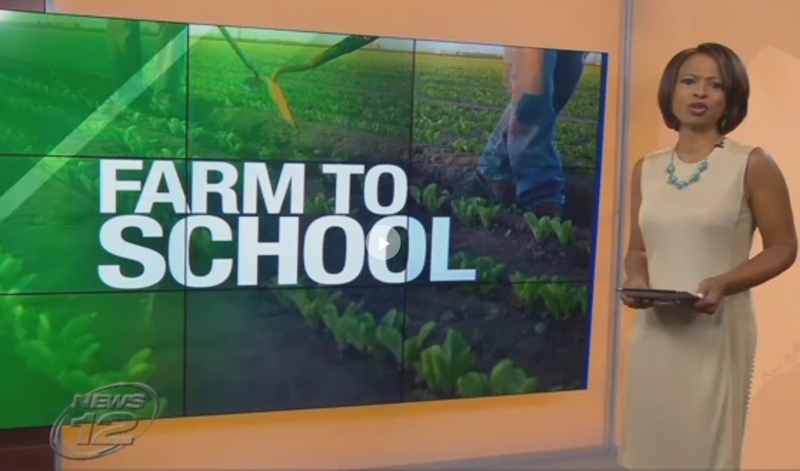 Read more at the NJ Department of Agriculture’s website.